Reading as a process implies a certain period of concentration on a content even if this period is short. The data contained in a text should be perceived and processed by our brain to become a meaningful information. That’s why the “classic” emails with rather abundant content seem less relevant than SMS messages, for example, when mobile gadgets are considered. 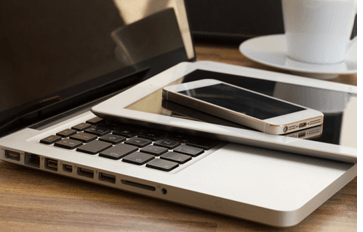 The core idea of gadgets implies staying always connected as well as performing something online on the move. The one-line short SMS messages go in line with this idea best. Nevertheless, the mobile email clients appeared among the earliest mobile applications from a historical perspective. The ability to check your mailbox when you are far from a computer is attractive and consistent with regard to the contemporary super-dynamic lifestyle. However, such a dynamics can hardly support digesting quite specific marketing emails whose content usually requires the recipients’ attention along with some certain subsequent actions to be performed. 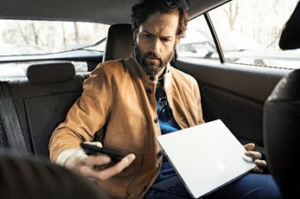 Should the email marketers bet on mobile gadgets as on the relevant means of communication for their promotional campaigns? Are the designing of email campaigns in accordance with the mobile peculiarities worth the marketers’ efforts? The professional bulk sending platform SendPulse is trying to figure out this ambivalent issue. In accordance with the statistics, more than a half of the mobile users always open emails on their mobile gadgets. It means they do not wait for an opportunity to read email messages on their desktops. The email marketers should be encouraged by such a metric since the email content really matters for at least 50% of the recipients who take it urgent. This fact is especially important for those email marketers whose campaigns imply transactional messages. In many cases, various reminding emails have a particular time limit within which the recipients should be reached. Thus, the customers who open emails on the go constitute the right target audience for the transactional email campaigns. But how about the rest email recipients who prefer to check the content on their desktops? Are they the lost audience for the email marketers focusing on the mobile usability? Not at all, since the subject lines of emails are displayed by all mobile email clients at least. Create a meaningful and relevant subject line, and the mobile users can hardly skip your message getting back to it when they reach their desktops. In accordance with Kahuna stats, 86% of emails in 2016 were opened on mobile devices. Another statistic shows that 85% of the email users do not see a big difference between the mobile email clients and the “traditional” desktop ones. It means that the software developers are keeping pace with the evolution of gadgets. They provide their email applications with the functionality making email processing on gadgets as comfortable as on the desktop clients. What is the main challenge for the developers? Most probably, the task to make the email clients usable equally well for both the 5” screens and the 21” ones. 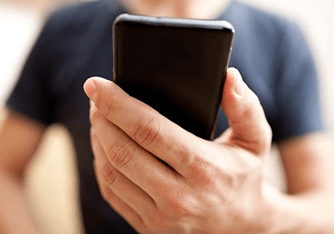 Nevertheless, they cope with the task since the majority of the mobile users do not face problems with the mobile clients according to the statistics. The email marketers, therefore, should correlate their email designs with the mobile practice. Especially since the most active consumers belong to the age profiles who have adopted gadgets completely. It is illustrative that 55% of the consumers belonging to the 56-67 age group never read their emails on gadgets while 40% of the 14-18 aged ones always do it on mobile devices. Although, at first glance, the statistics look not too encouraging, the “never” and “always” words should hint at an important conclusion the email marketers could come to. Both grannies and kids read emails on mobile gadgets “from time to time”, and the cumulative percentage of those audiences is quite large. It’s pretty safe to say that the promotional email campaigns can cover the entire kids’ audience on the go since they prefer reading emails on gadgets mostly. Nevertheless, the marketers could argue that both above-mentioned audiences are not the most active consumers. This is so only in part since both groups often impact the middle-aged customers who are the most solvent part of the population. And the stats suggest that 29% of the 19-34 age group always read emails on gadgets while only 18% of them never do it in fact. It means that 82% of the most active consumers can be reached via emails on mobile devices. 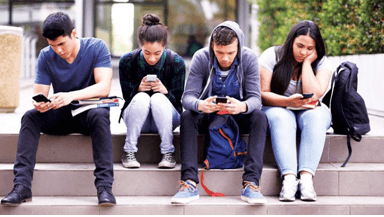 In accordance with the report of The Radical Group, 2.2 billion people use mobile gadgets in 2018. The majority of them (about 80%) access their email accounts via gadgets. The audience is too huge to be ignored. 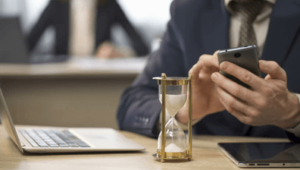 Moreover, the same report suggests that in comparison with desktops, the time people spent reading their emails on gadgets is significantly longer. For example, the users of Android smartphones spent more than 15 seconds checking their email messages. This metric hints at a higher click through rate potentially achievable when the consumers come across the active links contained in the emails read through mobile devices. Indirectly such a conclusion is supported by another survey standing that the number of clicks on smartphones (47.5%) outperforms the one on desktops (41.7%). It means that the engagement potential of mobile gadgets keeps growing especially with regard to smartphones. In such a situation, the issue all email marketers should be focused on is responsive design. The impact of responsive design on the behavior of mobile users was discovered by MailChimp through analyzing over 395 million emails. Basing on this survey, Litmus represented a detailed report where various aspects of the email engagement are considered. It proves that responsive design increases unique clicks for 15% at least. The responsive design of emails relates to various features of screens. Both the size and resolution of the gadget screens affect the usability of mobile email clients. People appreciate those brands who care about their consumers whatever aspect of communication is concerned. Both the visibility and operability of the content delivered by emails to mobile gadgets determine the attitude of a sender to a recipient. When it comes to a promotional email campaign, the usability of email messages is crucial for the customer engagement. The results of an email campaign can be significantly compromised when the messages perfectly displayed on desktops appear unreadable on mobile screens. 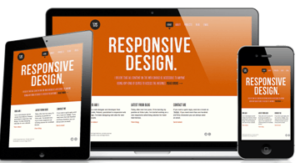 That’ why the responsive email templates offered by the professional bulk sending platforms are strongly recommended for the email marketers. The contemporary digital era makes both the email communication and mobile gadgets go hand in hand. The various statistical data collected through numerous surveys prove that reading emails remains relevant to the consumers’ behavior regardless of a screen size their mobile devices have. The open rate of the mobile emails depends on a particular age group of the mobile users: the younger an audience the higher an open rate. However, the clickthrough rate relates to the time people spend reading their emails whatever age group of the mobile users is concerned. Mobile gadgets outperform desktops in the “time-per-email” metric. It means that the capabilities of the mobile email clients have a large customer engagement potential. In order not to compromise the results of email campaigns all email marketers should focus on the responsive design of their messages. The perfect visibility of a message on a mobile screen makes people feel that a sender cares about the recipients. Such a practice increases the customers’ loyalty making profits of a brand higher, therefore. And the easiest way of making the mobile-friendly email campaigns is to exploit the numerous opportunities offered by the professional bulk sending platforms.